Neil was widely known for his vibrant impressionist oil paintings. After teaching for fifteen years at the California Art Institute in Westlake Village, CA Neil decided it was time for a change. So he and his wife, Betty, moved to Vancouver Island off the west coast of Canada. 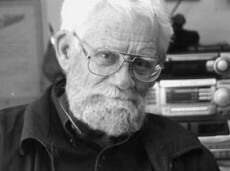 Neil was a Master Signature Member of the Oil Painters of America, a Signature Member of the Northwest Rendezvous Group and a Signature Member of the California Art Club. He was also a Senior Member of the Federation of Canadian Artists and lifetime member of the Society of Illustrators of Los Angeles and Tucson’s infamous Mountain Oyster Club.